A blog for lingerie lovers everywhere ! It was love at first sight for us at Viksen, when we first heard of the lovely Audrey! 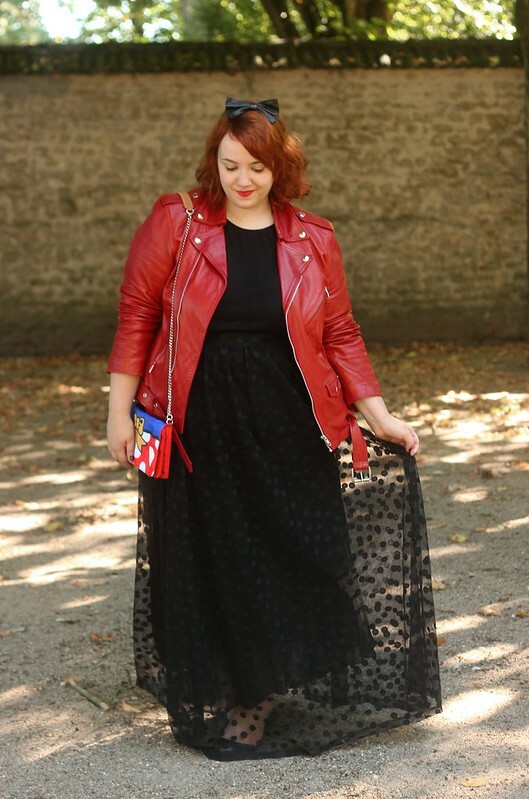 A daring style, lots of colours, different proportions, with a little retro touch: since 2009, Audrey has been writing the blog Big or not to Big with a real talent, and shares with us her inspirations and her fashion sense. She agreed to answer our questions and to talk about lingerie with us! Since when have you been writing your blog? What started it? My blog was launched in May 2009. It’s because I discovered other fashion blogs that I decided to create my own space. Back then, I wore what I found and not what I really liked. 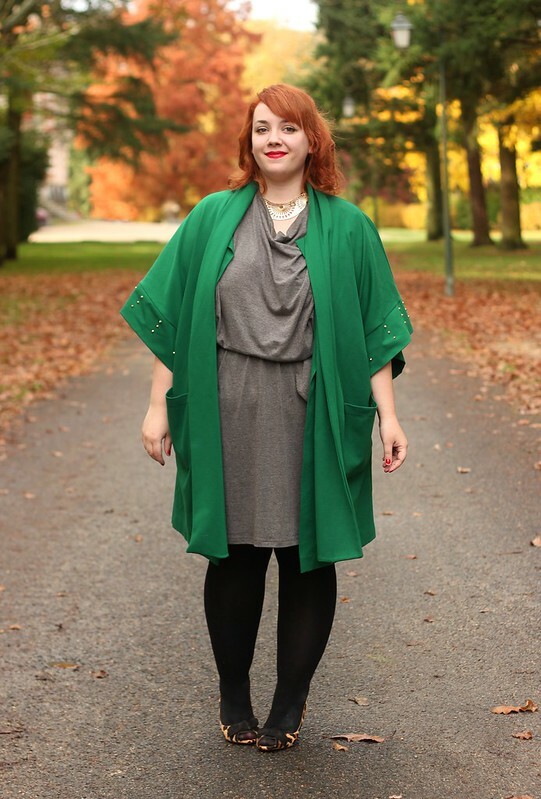 When I discovered the incredible world of blogs and online shopping, which finally offered clothes I liked in my size, I completely re-did my wardrobe and that’s when I started my blog. What did this blog change in your daily life and more globally? My blog has also allowed me to meet incredible people since I started it, either by getting to know my readers better (one of the most important aspects in my opinion), or by participating in great events. 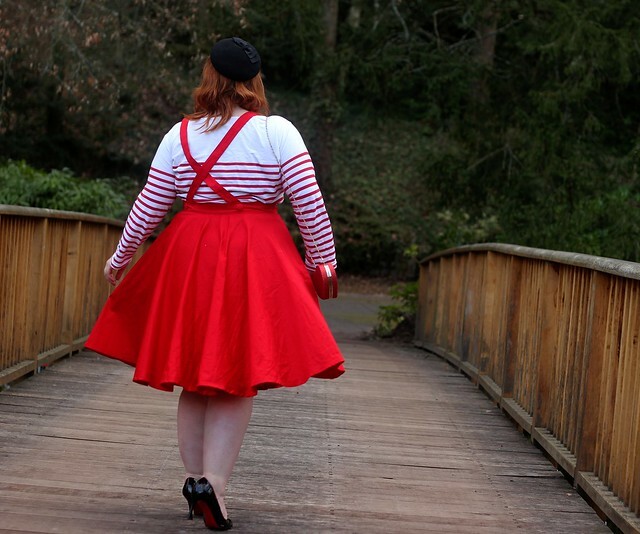 My blog also makes me discover lots of things and I now follow closely the evolution of plus-size fashion… It’s been really wonderful! If you had to pick your 3 favorite pieces of clothing in your wardrobe, what would they be? – My trench with a liberty-pattern inside; I love liberty! – My Mickey Mouse stilettos, they are one of the little treasures of my wardrobe, and I can’t stop loving them! 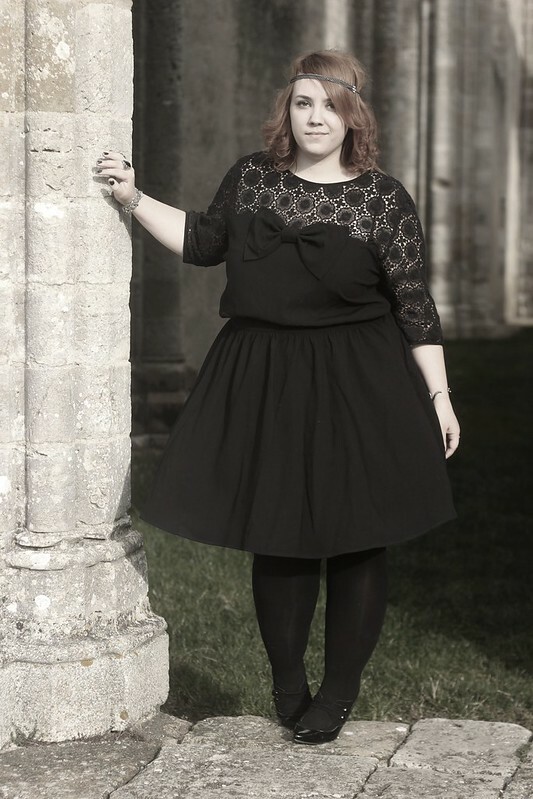 How would you like to see the world of plus-size fashion evolve in the years to come? In terms of design, of sizes, of ways to purchase these products, of pieces of clothing which are for now how to find? The ultimate dream would be to see in standard clothes racks (online or in brick-and-mortar shops) size ranges extended to plus-size, so I could always find something I like. 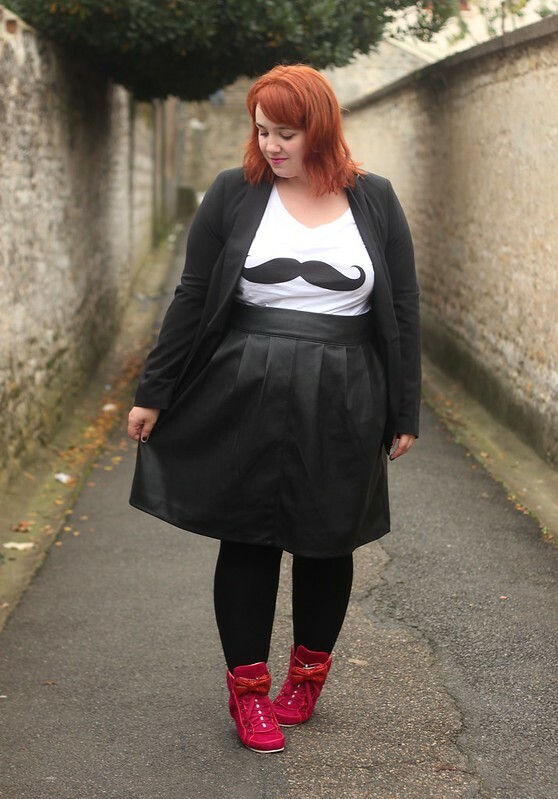 Even if there is, in my opinion, a real progression of plus size fashion, not being confined to « special » ranges would be a huge improvement! Do you like lingerie? Do you buy it often? Do you consider it a pleasure or more a “duty”? Before, I used to buy lingerie for practical reasons, but now I really enjoy mixing and matching like I do with my clothes! Have you had your measurements taken already? Do you usually feel at ease in your bras? I admit I’ve never been measured, but I’ve taken my measurements myself. What bra and bottom shapes do you prefer? Regarding bras, I like styles that cover a bit (but not to much :D), because they usually offer me more support. 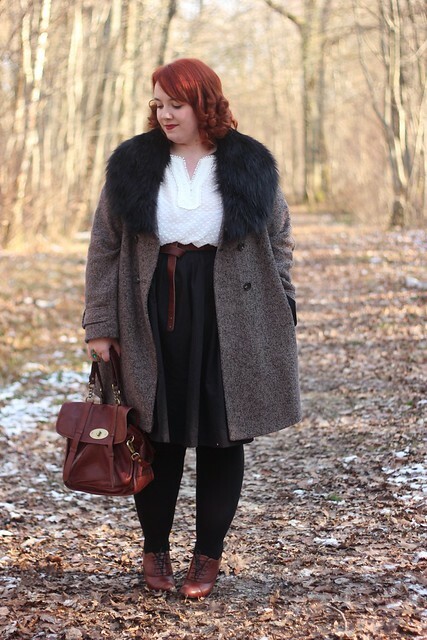 I sometimes fall for some plunge styles, but they need to fit perfectly to avoid any spillage! Do you sometimes wear shaping lingerie? I admit I sometimes wear shaping lingerie when I wear really tight-fitting clothes (pencil skirt, figure-hugging dress…) It can be a high-waisted brief or a Spanx. What is a good pair of tights in your opinion? Regarding tights, in addition to my basic black opaque tights, I like to play with patterns (dots, stars, flowers etc…) and colours! I think it’s an easy way to make an outfit sparkle, so I don’t hesitate! Have you already tried on a corset? If you could design yourself three lingerie pieces, what would they be? This summer, will you be rocking a bikini or a one-piece suit? I already have some nice ones at home… I’m more at ease in a one-piece, and now we can choose lovely swimsuits, so I fully intend to enjoy the beach this summer! What would like to see at Viksen in the future? Follow Audrey from Big or not to big on Facebook, Twitter and Instagram (bigornot)! Ce contenu a été publié dans News Viksen par Viksen Lingerie Blog. Mettez-le en favori avec son permalien.